Our Conyers store will be closing at the end of May. 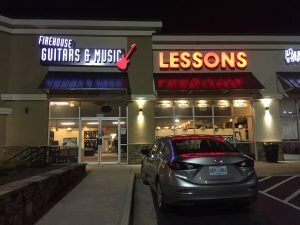 It is with heavy hearts that Firehouse Guitars & Music is announcing the consolidation of our music stores into one location, and with that the closing of our Conyers store. Conyers was our original location and we have had a lot of wonderful years and musical memories with that community. Our Decatur location will remain open and we will be focusing our energy on continuing to grow and thrive in this location. With that in mind we are very happy to announce that long-time Conyers staff member, Pete Hartbarger, will be joining us full time on the sales floor in Decatur. So, please stop by and see us this month! We will have some good deals and our staff will love the chance to say goodbye to our long-term customers and fans. We hope all our Conyers customers will visit us in Decatur and let us know if there is anything we can help you with in the future.